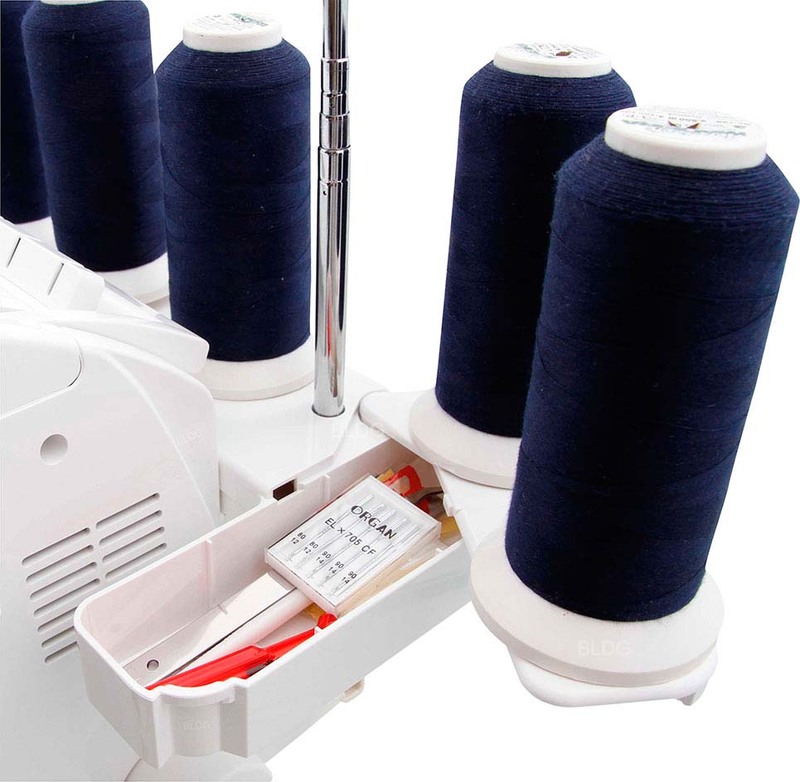 Combined overlock and coverlock machine that comes with the unique jet-air threading system and automatic thread delivery (ATD) system. Overlock, coverlock or chain stitch practically combined in one machine. This 5-thread machine can be easily threaded or converted for the desired operation. You can thread the loopers in any order thanks to separate threading paths. There's no need to follow any threading points and there are no loose threads that may get tangled up. Thanks to the Desire3's Automatic Thread Delivery (ATD) system and the stitch selector, you no longer have to worry about thread tension adjustment. Perfectly balanced stitches with threads of different qualities are achievable on a wide range of materials from fine through to heavy fabrics. Baby Lock’s design incorporates an extremely small gap between the cutter and needle enabling the Desire3 to produce the perfect curved seam. 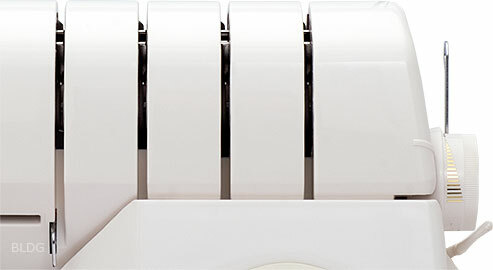 The baby lock Desire3 features a unique, compact tubular looper system that guarantees fuss-free, quick threading. Extra-strong loopers in a quality similar to that used in industry make your Baby Lock Desire3 fit for more difficult tasks. The Desire3's auxiliary looper / converter can be easily activated for a two-thread stitch and as it’s attached to the upper looper it is unlikely to be misplaced. Thanks to the Automatic Thread Delivery (ATD) system of the Baby Lock Desire3 you can simply choose a stitch, set the thread delivery system correspondingly and start sewing. No more tiresome tension adjustment every time you use another fabric, stitch or thread thickness. 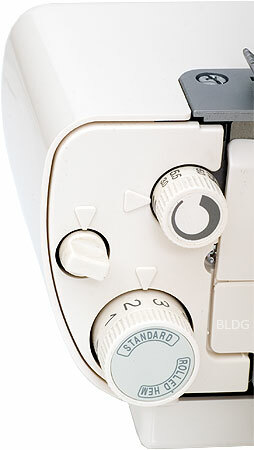 Simply set the automatic thread delivery (ATD) system to the desired stitch. Your Baby Lock Desire3 will produce exact and balanced stitches. There are three sensors: stitch width sensor, stitch length sensor and fabric thickness sensor that help you produce perfectly balanced stitches – with no fuss! The Baby Lock Desire3 lets you adjust the stitch width quickly and easily. Since both the cutter and the chaining finger move together, it really is the stitch width that changes and not just the cutting width, as with other conventional machines. This prevents overcutting and undercutting. 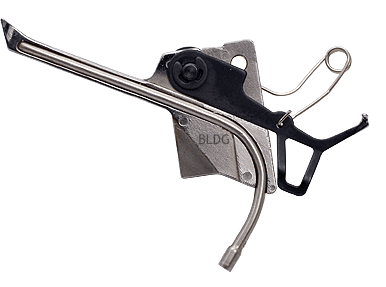 You can deactivate the cutter quickly and easily with a switch if you want to sew closed or tube-like pieces of clothing. The same switch reactivates the cutter whenever you need it. The cutter is not fully retracted and you can use it as a guide. One dial lets you modify the stitch length and change over the Desire3 to the rolled hem option. Simply read the setting value on the dial's scale. Stretch fabrics often cause problems such as puckering or distorted seams that can be frustrating. Thanks to its differential feed mechanism with a range of 0.2 - 2.0:1, the Desire3 guarantees an optimum feed of stretch fabrics and thus prevents puckering or protruding seams. You can also use the Desire3's differential feed to produce deliberate gathering or stretching effects.